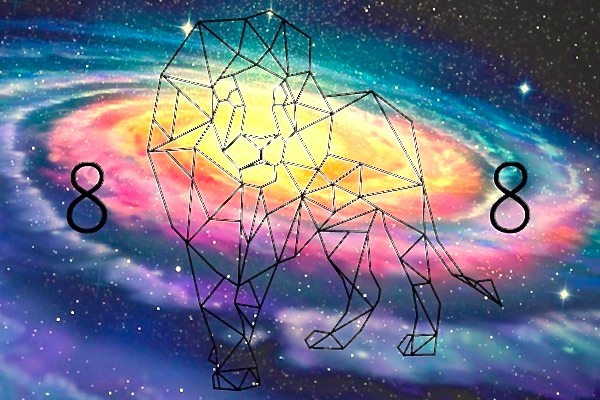 Sharing some light and invitation around the Lion’s Gate energies… The annual 8-8 Lion’s Gate portal is a pivotal Cosmic Ascension event wherein humanity and Gaia are thrust through the Lion’s Gate portal into the higher realms. Every being on the planet is offered the choice to align with the original, divine Law of One during this event. Imagine a moment out of time when all the “laws” of separation are temporarily suspended, the veils that ensnare so many in fear and density are lifted and the brilliance of pure essence, pure divine love radiates remembrance and Oneness (Samadhi) into the amnesia of worldly constructs. This is a time when the Ascended Masters gather and come into close proximity with the Earth plane – with large concentrations at certain apexes of the vibrational world where the frequencies are fine tuned. They may be approached during this time and desire to share wisdom. This annual 8:8 Lion’s Gate occurs on August 8th and is the time of year when our planet aligns with Star Sirius and the Galactic Center, creating a harmonious portal that unites “matter and antimatter”. As with the vesica picses ~ the Ascended Masters hover in the place that adjoins the world of form with that of infinite worlds. Many significant, otherworldly events have happened in my life during the Lion’s Gate. In 1999, shortly after leaving the 3rd dimensional construct of my profession for good (June 1999), I was invited to my first Lion’s Gate group experience with 2 women (high vibrating energy workers) and one male (a musician that channels cosmic harmonies) whom I knew and trusted energetically. This was the same year that the Columbine tragedy occurred. That was in April, I resigned in June (freed up the energy of my true Self) and the Lion’s Gate was August. During this gathering of over a hundred people – we created a container for the Lion’s Gate portal – and I was “called” to the center of this portal – it was quite eerie and surreal all at once – but my physical aspect was magnetically pulled to the center of a circle formed by all these spiritual beings. The 2 women I mentioned seemed to know and see what was occurring and came to kneel at either foot, with their hands firmly pressing on my feet – as if to anchor me down. What happened next really had to witnessed and felt to believe – but this Lion’s Gate portal activated on and around me – energy began blasting through my hands such that I would have levitated off the ground if I were not being held down – and I began to “channel”, bring through the energies of Dylan Kleboid and Eric Harris, the 2 young men behind the Columbine Massacre who later committed suicide. They spoke from the other side of the veil – on behalf of the children of the world. I felt all of their pain, I felt all of their sadness and emptiness at the disconnect in our world – all of which I felt releasing as rocket, electrical currents through my body, on their behalf – all the while communicating to the lightworkers gathered how the children are suffering from the separation, materialism, desensitization to violence – etc. The sorrow of ALL the children of the world was felt by all in that moment. The room filled with a golden radiance that shimmered, otherworldly – and the Ascended Masters, some I knew such as Jesus, Sanut Kumara, St. Germaine… many I did not know by name but recognized as the I AM Presence. I share this with you primarily because in the world of form, Columbine was a horrific moment IN time, a historical, attention getting – “are you paying attention” event that will always be remembered as a tragedy. But as with every other thing that happens in the denser plane – there was higher purpose and experience occurring – a higher movement of energy taking place. The Lion’s Gate that year transformed and rebooted the energy of the children on the planet – what they have suffered, what they bare on behalf of our ignorance. This Lion’s Gate – and the role Eric and Dylan played, cleared the way for a LOT of new children to begin coming in before and during the shift of the Harmonic Concordance in 2003 – which began the shift out of the New Age movement and toward the New Consciousness Gateway of 2012. For me, this is just irrefutable experience of the presence of both an ascending and descending spiral in each moment – and the invitation that is always extended to our small, finite expressions to get above what appears to be happening, to then become conduits of a higher transformation and light. When we participate in such experience, we remember, we too, are the higher levels of Mastery. My Beloved Samadhi Blue transitioned back to the light during the Lion’s Gate of 2014. She was 16 years old, we were all together – there was only love and very open hearts. My only comeback was and is, “of course she would return to the Light during the Lion’s Gate – with all the Ascended Masters to accompany her!! “???????? More than anything – and why I was guided to share this post for the Lion’s Gate – is to stimulate your own remembrance of the connective thread, the golden arch of Unity where there is no sorrow, no loss or death, pain or tragedy. Nothing is separate from the Light. You are never alone. And also to prime your consciousness to the greater power and purpose of this portal. It can release the densest of energy while simultaneously filtering in transcendent light. The Lion’s Gate occurs in Leo, which is the sign of the heart center. This signifies the personal individuation of your Divinity, (remember the photo on The Gifts Of August blog 7/22) as the Christed DNA awakens and activates in your human energy field. In that same blog, I shared how the upcoming Solar Eclipse is a very personal shift point! Really tune into the greater intelligence that is linking all these timeline shiftpoints together for our highest good and greatest benefit. During this event on Tuesday, 8/8 – a Stargate is fully opened, streaming intense Light waves from the Great Central Sun, through our Sun, The Star Sirius, the Earth Grid Point of the Sphinx and The Great Pyramid of Giza, all inclusive. When the Sun is conjunct Star Sirius it creates a Solar Stargate that pours Solar Star Codes for mastery and ascension directly from Sirius. Close your eyes, breathe, remember. Now, as if all this were not enough alone, just hours before the Lion’s Gate on Tuesday, we have a magical Lunar Eclipse at 15º Aquarius, on Monday, the 7th. These 2 events combined launch 2 weeks of intense transformation while we hold space in the cosmic Reset Point on August 21st. Whew and HALLELUJAH! In this moment – which is ever changing, I have been called into Vortex experience with a beautiful group of women from upstate NY during this Lunar Eclipse. I invite you to tune in and join in that pristine, sacred space where you can literally feel the Ley Lines you are standing on connecting with every other place and thing on the planet. I really encourage you to experience and embody the magic of these events wherever you are and whatever you are doing. Know that we are entering a powerful phase of planetary ascension. During the Lion’s Gate Activation, the 8-8 “wave” contains the new Light Codes of the Cosmic Ascension for the next year/cycle; a year/cycle of the new timelines. It is vitally important that you create the space and intention to fully receive these codes, to activate the Crystalline DNA to support your new timeline shift into Unity Consciousness. Finally, I AM guided to offer a Global Unity Meditation this Sunday, August 6th, @ 11:11am eastern. This is an intention based opportunity to join with the minds and hearts of Unity on our planet. We are growing in numbers – we are being called, we are on the move and gathering. The details of this movement and gathering are secondary to the knowingness of the call. We must trust this process and move with the waves as they present themselves. The New Human, New Homoluminous of the New Earth is skilled at “moving without thought” and following the energy that allows you to feel alive and with new purpose. EVEN IF you don’t know what that new purpose is! Everyone in Service to Love, to the return of Unity Consciousness and the emancipation from ALL fear on this planet is invited to join in. Please share, come together, join in hearts and envision Global Peace. This is a beautiful time of expansion and freedom, remembrance and love. I AM grateful to share it with you, grateful to know and recognize you as “all my relations”. You are always in my heart – we are ALWAYS Oneness Rising. I am filled with gratitude for you and the information that you share. THANK YOU and I will be with you in spirit tomorrow 11:11. How wonderful to join wholistically with Like Minds, Like Hearts, One Breath, to come back into Unity Consciousness. In Unity ~ I meditate ~ I/Thy will to REmember, to REceive & to REintegrate the NEW in the NOW! Big Love, Gratitude and a NEW HUMAN HUG to this beautiful tribe – we are stronger and wiser in Unity!???? PERFECT – with the exception of this Sunday! ;-) we will have a beautiful meditation together on the show!! Gratitude and Love to you both…??? ?